You might have heard of the Amazon.com deal on Livingsocial and the Gap deal on Groupon. Both of these deals made the big headlines and with good reason. Back in August 19 , 2010, by day’s end, 441,000 Groupons of the GAP deal were sold, bringing in a little more than $11 million. Groupon usually splits the revenue with partners, but declined to disclose its share. However, there’s another company that is making good use of the group buying industry. 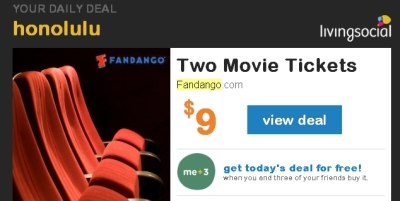 Keeping under the radar, Fandango has been dishing out deal after deal through group buying websites. Here’s how Fandango does it. 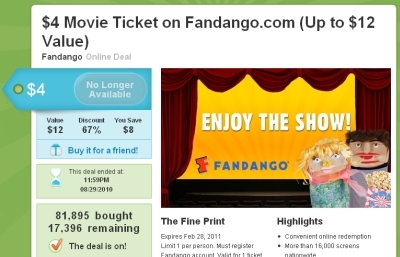 Back in August 2010, Groupon offered a $4 movie ticket deal on Fandango.com. This deal was bought 81,895 times and had over 9,000 likes on Facebook. Back in March 2011, Livingsocial partnered with Fandango to offer a $9 deal for 2 movie tickets in certain cities such as Honolulu. This deal was presented by LivingSocial as a 70% discount off the maximum value of $15 per ticket at Fandango.com. A total of 1 million deals were purchased. The deal was liked by 43,333 on Facebook. This March 16, 2011 Groupon released the a deal for half off tickets to the new Matthew McConaughey film “The Lincoln Lawyer”, which opens this Friday March 18th. This might look like just another deal but what is so interesting is that Fandango isn’t the merchant offering the deal: Lionsgate is the merchant, Fandango is just the middleman delivering processing the deal. 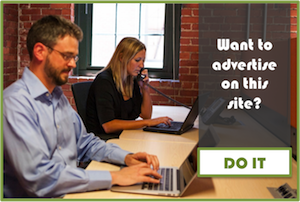 The deal page is expected to reach some 60 million Groupon subscribers. There you can also read an interview with Matthew McConaughey, in which he talks about the movie and being the Sexiest Man Alive in 2005, and watch the trailer from “The Lincoln Lawyer”. Fandango: A Leader in Group Buying? Formed in 2000, the young company has been able to provide a great way to purchase movie tickets through the Internet. 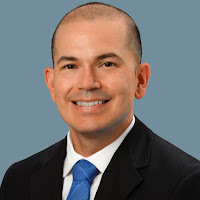 By taking advantage of the rise of new online promotion vehicles such as Groupon and Livingsocial, Fandango was able to gather evidence for Hollywood studios that using tech promos they can harness an unprecedented reach. As Liongsate is the first major film studio to engage in this type of promotion, Fandango could be very well preparing itself to become the premier deliverer of several other movie deals to come.